Introducing the next generation of spray gun washer: One machine, one universal cleaner for both solvent and waterborne cleaning! 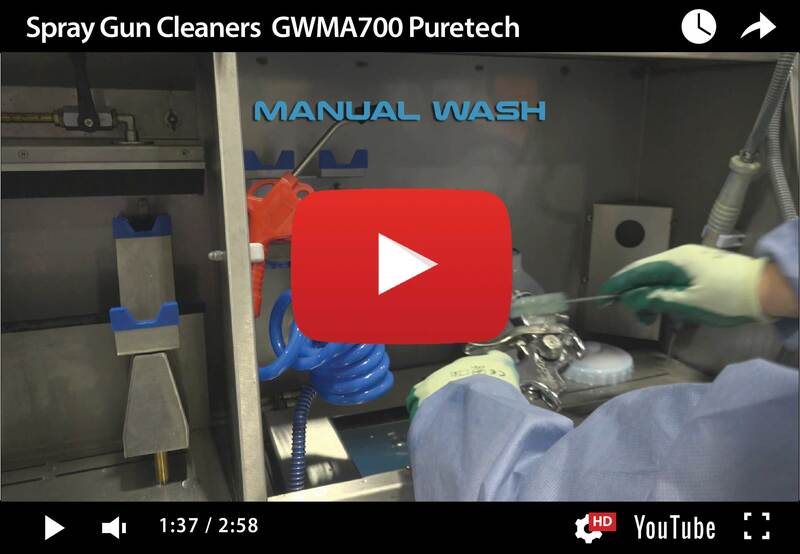 ISTpure GWMA 700 PURETECH spray gun washer is the future of spray gun cleaning using exclusive Puretech Cleaning Fluid, a universal cleaner suitable for solvent-based and/or waterborne paint-equipment cleaning in one easy-to-use system. 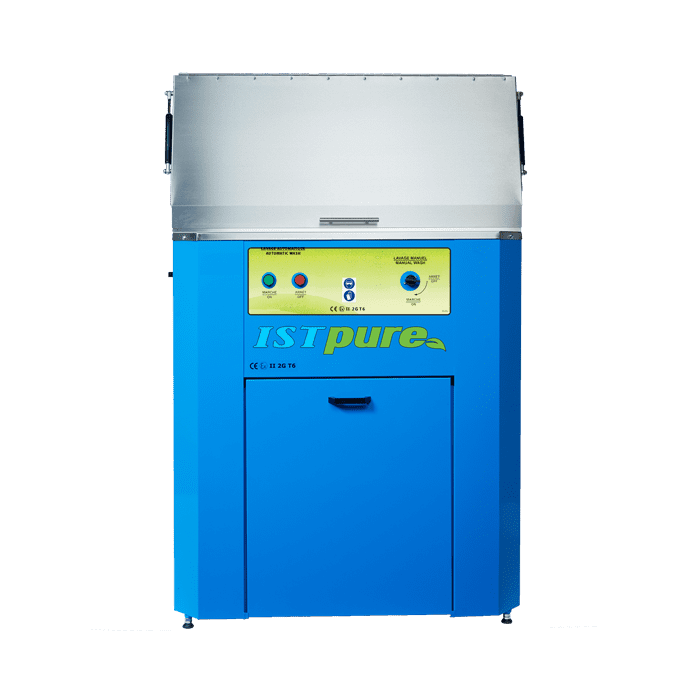 The new GWMA 700 PURETECH is an ergonomic, robust washer suitable for medium-to-heavy users with repetitive color or coating changes. 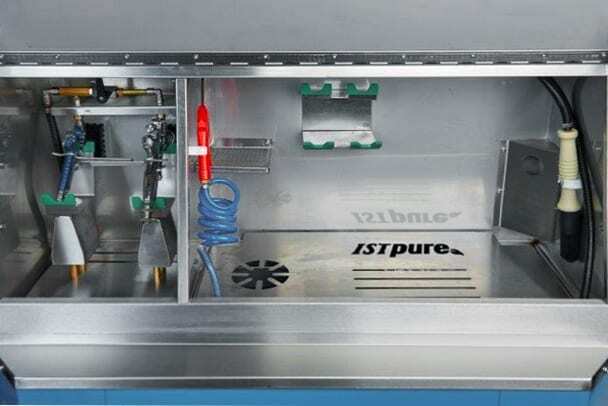 Combined manual and automatic washing stations allows simultaneous cleaning of up to two paint spray guns along with PPS and other disposable cup adapters in under 30 seconds using automatic-wash setting, or deep cleaning of disassembled guns using manual-wash.
* Automatic wash currently only suitable for gravity-fed spray guns. Any other spray gun must be cleaned manually. ** To be used with Puretech Cleaning Fluid only.